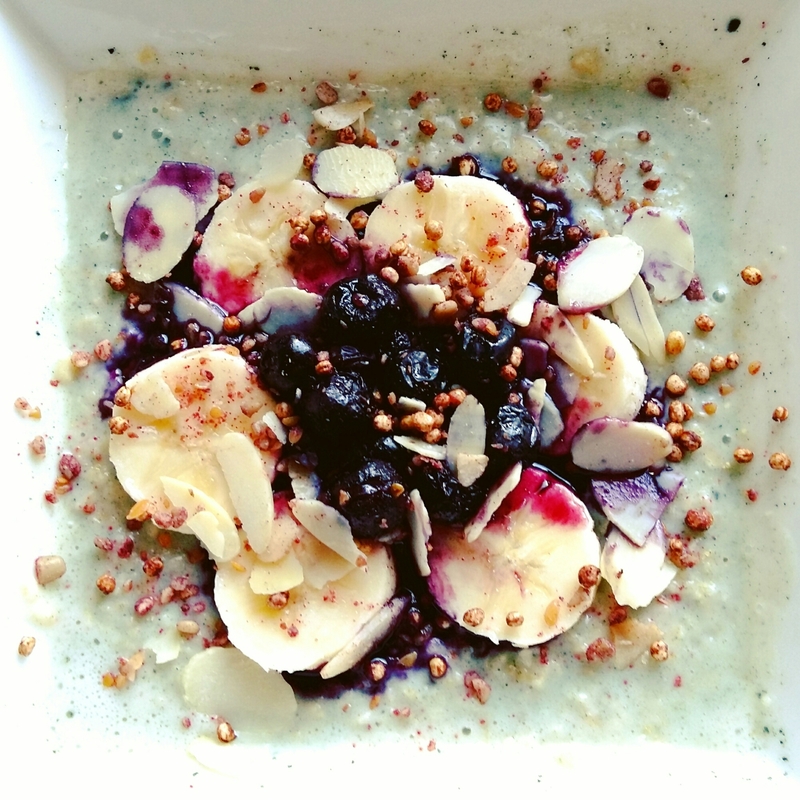 Every meal is a chance to nourish your body and this superfood rich porridge will certainly set you up for the day! I added spirulina and honey to the porridge mix and topped with blueberries, banana, sliced almonds, cacao and vanilla qnola and then sprinkled a beetroot and seed mix to top it off. In addition to giving the porridge a beautiful blue/green tinge, spirulina is one the of most nutritious food sources on the planet and is rich in essential amino acids, iron, protein and vitamins, B, C, D and E.